What is the potential of silver fir to thrive under warmer and drier climate? Foresters from many countries are seeking for tree species or provenances able to cope with expected climate change. While it becomes clear that some temperate tree species will increasingly suffer from climate warming, the fate of the ecologically and economically important silver fir (Abies alba Mill.) remains uncertain and debated because the ecological requirements of this species, as well as its resilience to drought, are still unclear. On the one hand, paleoecological studies reveal that this species was widely distributed under much warmer climate, suggesting a high potential to cope with ongoing and future climate warming. On the other hand, species distribution models generally predict a strong decline of its climatic suitability in the future. This paper aims to clarify the potential of this species to thrive in central and western Europe under predicted climate warming by reviewing the knowledge gained from different fields. Based on insight from different fields, we argue that silver fir has a great potential to thrive under warmer conditions in western and central Europe provided sufficient rainfall, as forecasted by climate models for most regions by 2100. For instance, dendroecological studies demonstrate that silver fir is more resistant and resilient to drought compared to co-occurring species such as Norway spruce, European beech and larch. The most prominent obstacle for increasing the proportion of fir in mixed forests nowadays is ungulate browsing that often prevents its upgrowth. 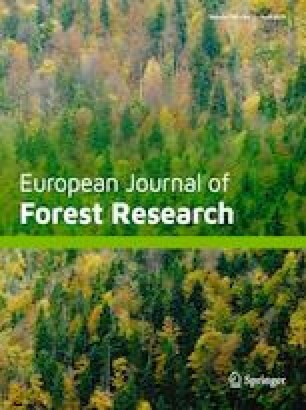 This review was funded by the research program ‘Forest and Climate Change’ of the Federal Office for the Environment and the Swiss Federal Research Institute WSL, and was also supported by the SwissForestLab. This paper was initially published in French in Schweizerische Zeitschrift fur Forstwesen (Vitasse et al. 2018a) and was adapted with the agreement of this journal to upscale the results to an international readership across Europe. The sources of the data used in Fig. 3 are cited in the caption legend of the figure. PB and SA conceived the idea. YV led the writing with input from all the other authors. AB collected the data shown in Fig. 3 and drew Fig. 3.